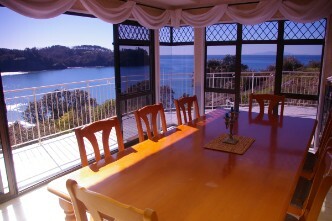 This Bed and Breakfast offers you a high standard of quality and elegance combined with outstanding 180 degree views of Hatfields Beach and the impressive sea views far beyond. 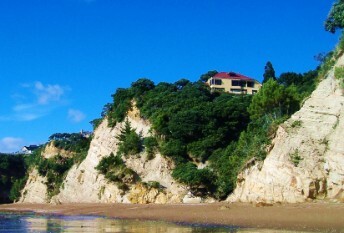 The three guest rooms all offer different and memorable views of the breathtaking Hibiscus Coast scenery, the waters of the Hauraki Gulf, Great Barrier Island, the Coromandel Peninsula and Whangaparaoa Peninsula. 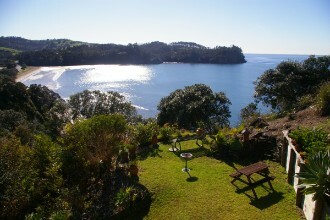 Moontide Lodge is located only 25 minutes north of Auckland and is the ideal first night's stay for visitors to New Zealand and a last stopover for travellers on their way south from the Bay of Islands. 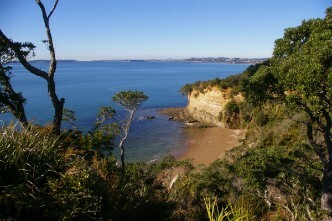 The nearby seaside resort township of Orewa has many cafes and restaurants for your enjoyment and is a convenient 3 minute drive away, at low tide Orewa can be reached by a pleasant half an hours walk along the sea side. 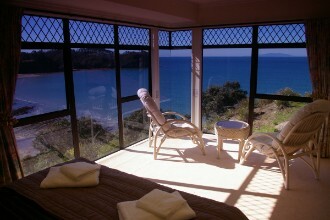 The Waiwera Thermal Hot Pools are a 3 minute drive away. 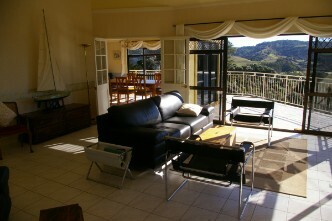 Come and enjoy your stay in this friendly and relaxed lodge.